Mix the early punk sounds of the Go-Go's and then add the moody infectious melodies of O.M.D. The result? 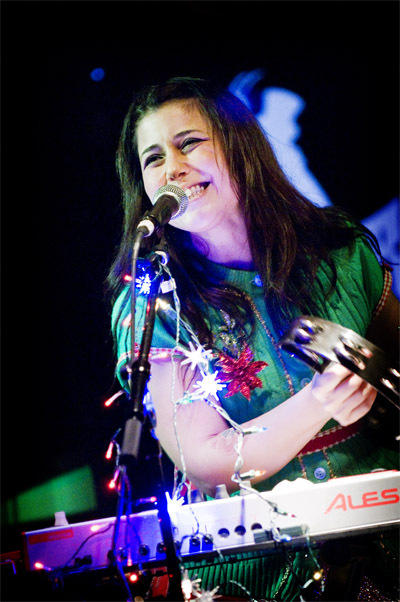 You get the girl-powered, indie pop sounds of Tic Tic Boom. 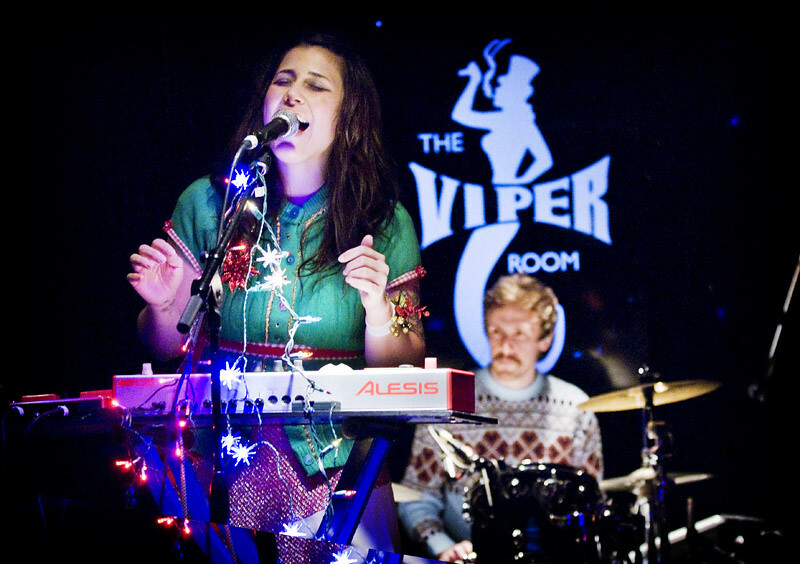 Tic Tic Boom has been having a big year so far and they ended their year on a high note by playing their last show of 2011 at The Viper Room sponsored by SUPERGOODMUSIC with an Ugly Sweater themed show. But nothing about this past year was ugly for this Los Angeles-based quartet. With the release of their EP Reasons and Rhymes at the start of the year, Tic Tic Boom has been the buzz of the town with their electro-pop ambience loaded with a vintage 80s vibe. Comprised of Leilani Francisco (vocals, keys), Mike Delay (guitar), Matt Gurgol (bass) and new drummer Trevor Hunnicutt, Tic Tic Boom's 5-track EP overflows with saturated textures that free-floats over inventive harmonies. "180 Degrees" is a glittery, slow turning disco ball ballad, "Floodgate" evokes Belinda Carlisle-esque's vocals delivered over aerial guitars while "Pattern" and "Just Friends" sets sparkling synths over soaring choruses. Watching them perform at The Viper Room, Tic Tic Boom proves they can write infectious songs that will hold on to you long after you've listened to them, taking you back when the world felt like one big John Hughes movie. Their EP, which I purchased on iTunes right HEEEERE is on a constant loop on my iPod. 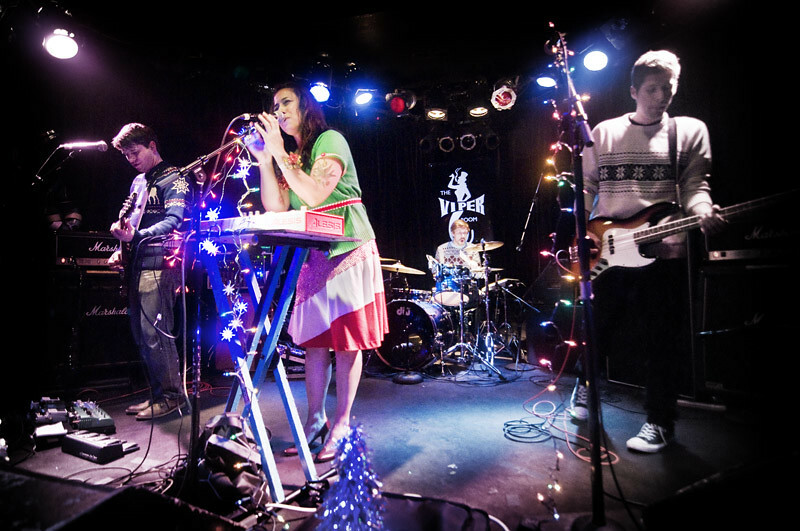 And with 2011 coming to an end, 2012 looks to be bright for this young energetic band. Currently, they're already working on their new EP which drops early next year. You can help them out by donating to their Pledge Music page and receive some great and cool exclusives.